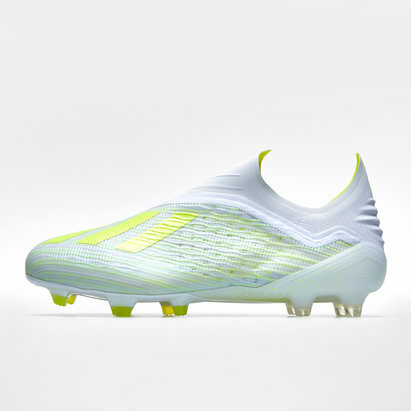 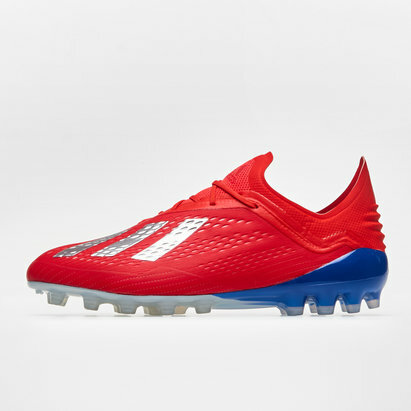 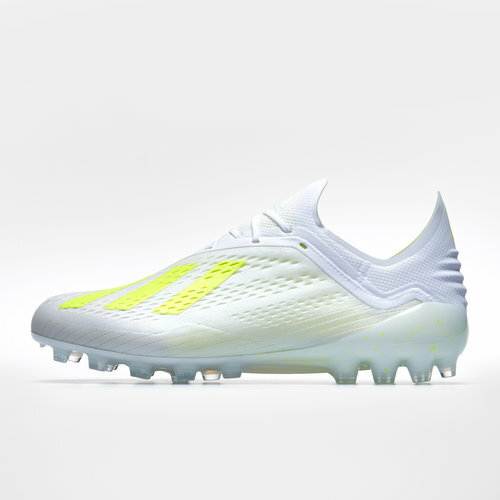 Sculpted for speed, dynamic and streamlined, be fast and more competitive than ever when lacing up in a pair of X 18.1 AG Football Boots from adidas in White, Solar Yellow and White. 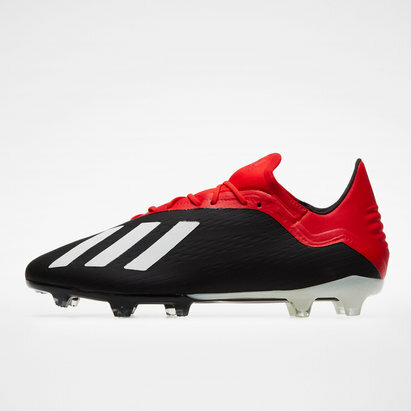 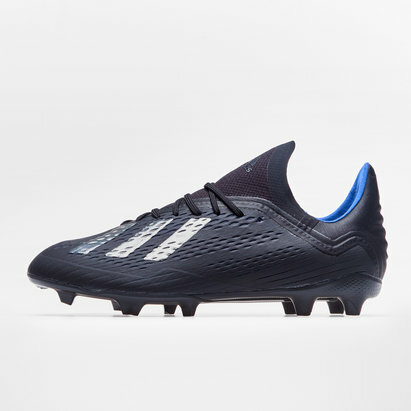 This adidas X is part of the Virtuoso pack. 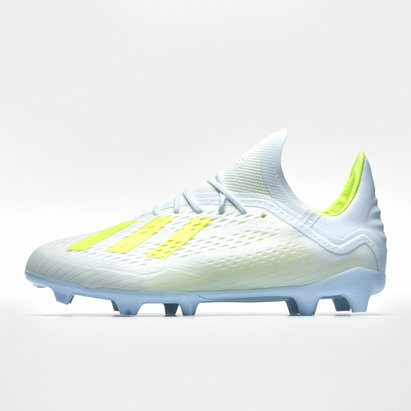 This adidas pack offers a white, clean look and will be worn by adidas' bet players. 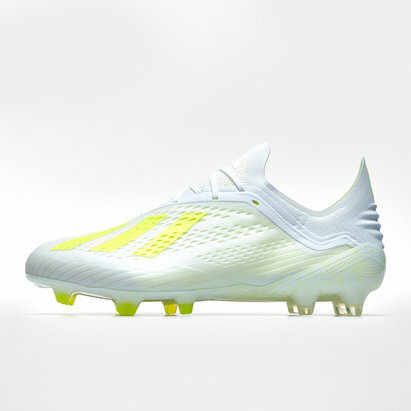 Each trainer type of the 3 Stripes comes in a different colourway all added to a main white base. 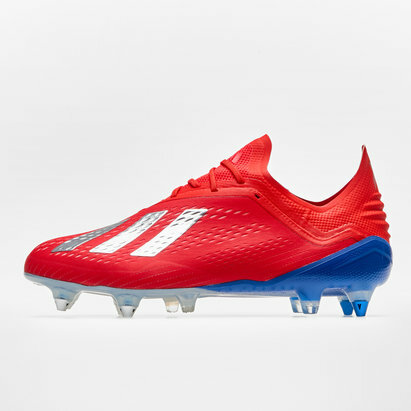 White along with, blue for the Predator, green for the Copa, yellow for the X and pink for the Nemeziz.